Alamo Pawn & Jewelry address, phone, website, hours of operation, and more. 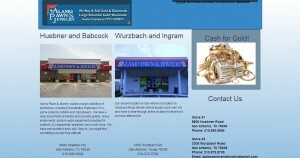 Conveniently Located in two locations in San Antonio, Texas, we have been in business since 1986. 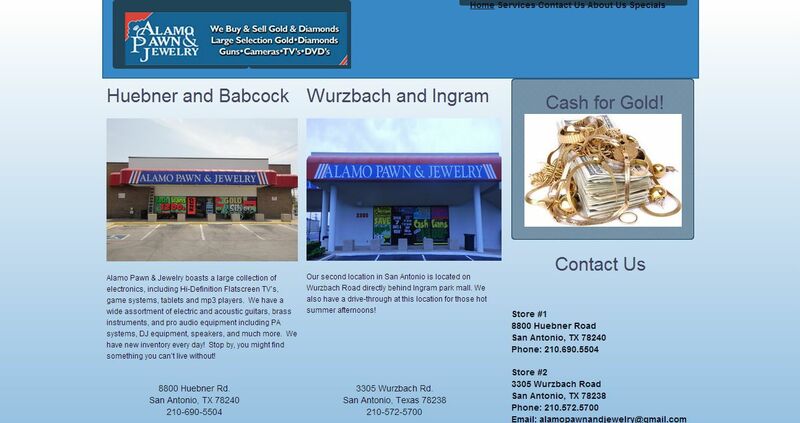 Alamo Pawn & Jewelry provides temporary cash loans on a wide assortment of goods, from jewelry and electronics to firearms. We treat our customers with superior care and offer the best prices on your used goods for loan, buy, and trade in value. Family owned and operated, we’d love for you to stop by and experience first hand one of San Antonio’s finest pawn shops.